Dr. Harrison A. "Stormy" Storms, Jr. was the chief engineer on the X-15 project until he left to join the moon project as North American's vice president, Program Development, in charge of the development of the Apollo spacecraft. Storms had previously served as Chief Engineer for the XB-70 Valkyrie, a task honored by the American Institute of Aeronautics and Astronautics (AIAA) 1970 Aircraft Design Award. John V. Becker was born in Albany, New York, in 1913. He earned a Bachelor of Science degree in mechanical Engineering and a Master of Science degree from New York State University. He joined the Langley Aeronautical Laboratory of the National Advisory Committee for Aeronautics (NACA, later NASA Langley) as a research engineer in 1936. He was appointed head of the 16-ft. Wind Tunnel Branch (1943), chief of the Compressibility Research Division (1947), and chief of the Aero-Physics Research Division (1958). Becker was associated not only with the X-15 program, but also with several other NACA and NASA programs, including the X-1 and Dyna-Soar programs. 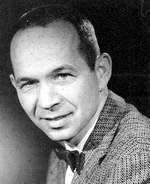 Paul F. Bikle, Director of NASA's Dryden Flight Research Facility from September 1959 until May 1971, has been associated with major aeronautical research programs, including the highly successfull rocket-powered X-15 and the wingless lifting bodies, that pioneered technology later employed to build and fly space shuttles. Bikle was born June 5, 1916, in Wilkensburg, Pennsylvania Before graduating from the University of Detroit with a B.S. in aeronautical engineering in 1939, Bikle's activity in the student chapter of the Institute of the Aeronautical Seienees and the school flying and gliding club led to flight instruction and qualification for a C.A.A. pilot's license. His career with the Air Force began in 1940 when he was appointed an aeronautical engineer at Wright Field. In 1944 he was named Chief of the Aerodynamies Branch in the Flight Test Division there. While working closely with other government agencies in establishing the first flying qualities specifications for aircraft he also wrote AAF Technical Report 50693 "Flight Test Methods," which was used as a standard manual for conducting flight tests for more than five years. During the war years he was involved in more than 30 test projects and flew over 1,200 hours as an engineering observer. In 1947, Bikle was appointed Chief of the Performance Engineering Branch and directed tests of the XB-43, the first U.S. jet bomber; the XC-99, and the F-86A. With the transfer of this part of the flight test mission to the newly formed Air Force Flight Test Center at Edwards, he advanced to Assistant Chief of the Flight Test Engineering Laboratory in 1951. Author of more than 40 technical publications, Bikle also was an avid soaring enthusiast. In 1961 he established two world soaring records during a flight near Lancaster, California and was selected for the FAI, 1963, Lilienthal Medal. In July, 1962, he was awarded the NASA Medal for Outstanding Leadership. NASA cited him for his part in directing the successful X-15 Flight Operations and Research Activities. Bikle died in January 1991. Walter C. Williams (1919-1995) earned a B.S. in aerospace engineering from LSU in 1939 and went to work for the NACA in 1940, serving as a project engineer to improve the handling, maneuverability, and flight characteristics of World War II fighters. Following the war, he went to what became Edwards Air Force Base to set up flight tests for the X-1, including the first human supersonic flight by Capt. Charles E. Yeager in October 1947. He became the founding director of the organization that became Dryden Flight Research Facility. In September 1959 he assumed associate directorship of the new NASA space task group at Langley, created to carry out Project Mercury. He later became director of operations for the project, then associate director of the NASA Manned Spacecraft Center in Houston, subsequently renamed the Johnson Space Center. In 1963 Williams moved to NASA Headquarters as deputy associate administrator of the office of manned space flight. From 1964 to 1975, he was a vice president for Aerospace Corporation. Then from 1975-1982 he served as chief engineer of NASA, retiring in the latter year. He died at his home in Tarazan, California. Maxime A. Faget (1921- ), an aeronautical engineer with a B.S. from LSU (1943), joined the staff at Langley Aeronautical Laboratory in 1946 and soon became head of the performance aerodynamics branch of the pilotless aircraft research division. There, he conducted research on the heat shield of the Mercury spacecraft. In 1958 he joined the space task group in NASA, forerunner of the NASA Manned Spacecraft Center that became the Johnson Space Center, and he became its assistant director for engineering and development in 1962 and later its director. He contributed many of the original design concepts for Project Mercury's manned spacecraft and played a major role in designing virtually every U.S. crewed spacecraft since that time, including the Space Shuttle. He retired from NASA in 1981 and became an executive for Eagle Engineering, Inc. In 1982 he was one of the founders of Space Industries, Inc. and became its president and chief executive officer. Dr. Hugh Latimer Dryden, was Director of the National Advisory Committee for Aeronautics (NACA) from 1947 until the creation of the National Aeronautics and Space Administration (NASA), and was named Deputy Administrator of the new aerospace agency when it was created in response to the Sputnik crisis. Before that time he was Associate Director of the National Bureau of Standards, where he had served since 1918 in scientific research. Dr. Dryden gained a broad knowledge of aeronautics in his career and in service on numerous technical groups for the Armed Forces and other agencies of the Government. He made numerous technical contributions by research in high-speed aerodynamics, fluid mechanics and acoustics, and published more than 100 technical papers and articles in professional journals. Born July 2, 1898, in Pocomoke City, Maryland, the son of Samuel Isaac and Nova Hill Culver Dryden, he was reared in Baltimore, where he attended the public schools and was graduated with honors. He earned his way through the Johns Hopkins University, completing the 4-year bachelor of arts course in 3 years, again graduating with honors. Influenced by Dr. Joseph S. Ames, who for many years was chairman of the NACA and was himself a pioneer in aerodynamics, Dryden undertook a study of fluid dynamics at the Bureau of Standards while continuing his courses at the Johns Hopkins University Graduate School. His laboratory work was accepted by the university when it granted him in 1919 the degree of doctor of philosophy. Dr. Dryden was promoted in 1920 to head the Bureau's Aerodynamics Section. In 1924, collaborating with Dr. Lyman J. Briggs, he made some of the earliest studies of airfoil characteristics near the speed of sound. With A. M. Kuethe, he published in 1929 the first of a series of papers on the measurement of turbulence in wind tunnels and on the mechanics of boundary layer flow. His non-aeronautical work included comparative tests to determine the efficiency of roof ventilators, and investigation of pressures exerted by wind upon building structures, cylinders, and chimneys. He was advanced to Chief of the Mechanics and Sound Division of the Bureau in 1934, and in January 1946 to Assistant Director. Six months later he was appointed Associate Director. While carrying out the Bureau's special research program onstructures and building materials, Dr. Dryden continued his studies of aerodynamics, where his main interests lay in turbulence and control of the boundary layer. It was natural that, when he was selected to deliver the 1938 Wright brothers lecture before the Institute of the Aeronautical Sciences (the first American so honored) he chose the subject "Turbulence and the Boundary Layer." The institute in 1940 presented him the Sylvanus Albert Reed award. In World War II he served on several technical groups advising the Armed Forces on aeronautical matters and guided missiles. As head of the Washington project of the National Defense Research Committee he led development of this countryþs first and only guided missile successfully used in combat, the radar-homing Bat. This achievement won him the Presidential Certificate of Merit in 1948. He served on other committees advising the Joint Chiefs of Staff, NACA, the Army Ordnance Department and the Army Air Forces, on guided missiles. Following the end of war he continued his interest in the Bureau's guided-missiles development program. In 1945 Dr. Dryden was made Deputy Scientific Director of the Army Air Forces' (AAF) Scientific Advisory Group appointed by General Arnold to prepare a report as a guide for future AAF research and development programs. With this group he traveled to Germany, France, England, and Switzerland studying foreign scientific efforts in the development of aeronautics and aerial weapons, especially guided missiles. The Army in 1946 awarded him the Nation's second highest civilian decoration, the Medal of Freedom, for "an outstanding contribution to the fund of knowledge of the Army Air Forces with his research and analysis of the development and use of guided missiles by the enemy." 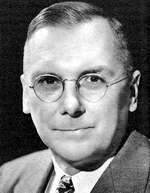 Dr. Dryden was elected to represent the United States at theSixth International Congress for Applied Mechanics in Paris, 1946, and again at the Seventh Congress, Istanbul, 1952. In 1948 he was appointed an honorary officer, civil division, Order of the British Empire, and was selected in 1949 to deliver the 37th Wilbur Wright memorial lecture before the Royal Aeronautical Society, in London. Meanwhile, in 1947 he resigned from the Bureau of Standards to become Director of Aeronautical Research at the NACA. Two years later the agency gave him added responsibilities and the new title of Director. In this capacity he had charge of an expanding research organization with some 8,000 employees, three large laboratory centers, and two smaller research stations. Before the creation of NASA, Dr. Dryden was a member of several scientific advisory committees to Government agencies, including the Technical Advisory Panel on Aeronautics, Department of Defense; the Scientific Advisory Board of the Chief of Staff, United States Air Force; the Scientific Advisory Committee to the President; the Interdepartmental Committee on Scientific Research and Development (Chairman, 1951-55); the Scientific Advisory Committee of the Ballistics Research Laboratory, Aberdeen Proving Ground, and the Advisory Group for Aeronautical Research and Development, North Atlantic Treaty Alliance. Dr. Dryden wrote 17 technical reports for the NACA. Results of his work have been published in professional and trade journals, dealing with the properties of airfoils at high speeds, wind-tunnel investigations, boundary layer and turbulence, noise suppression, and other aeronautical matters. He was editor of the Journal of the Institute of the Aeronautical Sciences from 1941 to 1956. In 1950 he received the Daniel Guggenheim Medal for "outstanding leadership in aeronautical research and fundamental contributions to aeronautical science." In 1955 he received the Wright brothers memorial trophy for "significant public service of enduring value to aviation in the United States." In 1958 he was elected to the Baltimore City College Hall of Fame. Dr. Dryden was honored by the National Civil Service League with the Career Service Award for 1958. Dr. Dryden was married and had three children, a son, Hugh Latimer, Jr., and two daughters, Nancy Travers Dryden and Mrs. Andrew Van Tuyl, Silver Spring, Maryland. He was active in the work of the Men's Bible Class of the Calvary Methodist Church in Washington. He held a Methodist local preacher's license since his college days, when he had charge of the Idlewylde Church of Baltimore. 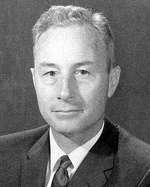 He served as the NASA Deputy Administrator until his death on December 2, 1965.